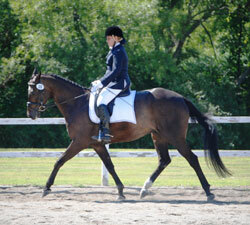 Private lessons for every type of rider! North Crest Equestrian Center specializes in Dressage, however, we teach the English 'Balanced Seat' which can be used for jumping or pleasure riding as well. For children (eight years of age minimum) and adults. Includes instruction in basic horse care and handling. Our horses are quality, well-trained mounts. Horses available for lease or 1/2 lease.